What Does Mormon Life Look Like? What does Mormon life look like? That is the question that Everyday Mormon Writers were asked to write about recently in their "Four Centuries of Mormon Stories" contest. 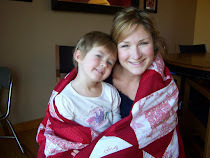 If you read my blog, you probably get a pretty comprehensive picture of what Mormon life looks like through my eyes. It looks hopeful. It looks bright. 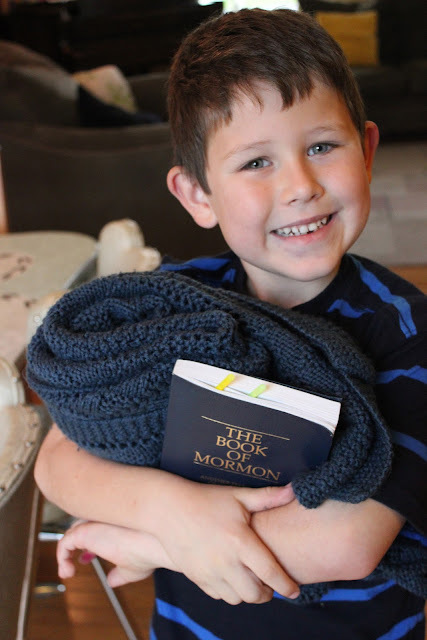 It looks like my son Guy who recently came to me and said, "Mom, I love the Book of Mormon, and I want to read it all by myself before I get baptized this time next year." And he is making great strides toward that goal. It looks like sweetness and sacrifice all rolled up into one. But there are many other stories to be told that give insight into what it means to be Mormon and what it has meant during other periods of time in our history. What has Mormon life looked like over the past two hundred years–and what will it look like over the next two hundred? Everyday Mormon Writer’s “Four Centuries of Mormon Stories” contest features twelve very short stories depicting Latter-day Saints in the 19th, 20th, 21st, and 22nd centuries. So far, we've featured “Little Karl” by Melissa Leilani Larson and “Ruby’s Gift” by Emily Debenham--today we're finishing off our 19th century stories with "Numbers" by Melody Burris and a discussion on this blog. What are your initial reactions to the piece? This story narrates big, significant events--like a marriage, a war, and a death--by using small, mundane events--like a step in a field while plowing. How do big events and small events work together in making up meaning in your life? One thing that defines a person is his or her way of seeing--which things he or she notices and dwells on. What impressions do you have of the two main characters in this piece based on what they notice? We have nine stories to go, each with a discussion on a different blog. Please join us for the remainder of the contest--and vote for your favorite stories to win the $400 Grand Prize! I loved this story. Its starkness mimics the starkness of the sky above the temple in the accompanying illustration, and ultimately the starkness of the story's end. Like a poem, the staccato rhythm of the lines begs to be read out loud to reinforce the cadence of the piece. Only the tenses in the first stanza (section?) confuse me a bit and I find myself wondering about the use of past tense while all the others use present tense. Assuming the final stanza is spoken by Anna, I see great hope in the six spires, one altar and sealed family. you're right about the tenses... no matter how many times I read something to edit it, I always miss something. actually the above comment is by Melody... I forgot that the google account was under Michael. What a powerful piece. I am so impressed with it that I don't even have anything to contribute. I'm just feeling it. At first I thought we were getting at a look at Asperger's in the 19th century. Then I thought how nice that two Aspies found each other in the 19th century. Then I realized the numbers were really just a device to show that (as pointed out in the question) "big events and small events work together in making up meaning." The number of days required me to think a bit---(ah, 30 years pass between the Civil War and the temple dedication)---and that payoff worked nicely. One historical question: It's been my understanding that Mormons in Utah essentially sat out the Civil War. Was a man choosing to cross the country again to fight in that war at all common? I had thought it just didn't happen at all, so I'm wondering how exceptional his decision was. There was one cavalry company under Lot Smith that patrolled the railroad. I think for most members, there was probably a sense of proving to the United States that we weren't secessionist, too. But I'd have to look more closely at others' research. It's been a while since I researched Mormonism and the Civil War, but I think Mormons--particularly Brigham Young--were fairly gleeful that the United States was falling apart. Joseph Smith had, remember, prophesied that civil war would break out in America, and many Saint believed that the Civil War was a) retribution for the nation's treatment of the Saints and b) a sign that Christ's return and the Saint's return to Jackson County was very, very near. Section 87 was not added to the D&C until 1876, after the Civil War ended and the prophesy seemed at least partially fulfilled. There was also, if my memory is correct, a quiet bargain between Brigham Young and Abraham Lincoln that Lincoln would not prosecute polygamists under the new Morrill Anti-Bigamy Act as long as Brigham Young and the Saints agreed to stay loyal to the union. Utah, after all, was a slave territory. Definitely short, sweet and to the point. This line sums it up for me: "I must not add my profits in my head lest the Lord find other ways for me to spend my imaginary wealth." I'm confused about the 11688 days of waiting. What was/is Anna waiting for? Waiting to die? I liked it. Very poetic. Were the 11688 days waiting from their marriage date until having the family sealed in the temple? I know the temple was completed 28 years after the end of the civil war, but didn't they do sealings in the endowment house previous to the temple dedication? This is a great piece. I love the use of numbers and the rolling forth of a story that depicts the scenes and events that happened within that time era. I recall being younger counting down the days when my father would come home from his deployment. I still count down for certain events in my life. We all have been given gifts and strengths that make us who we are and add value and contribution to the Lords kingdom and to us all as we grow from each other. I kept singing "Seasons of Love" from Rent while reading this. I liked this story because it looks like a ledger at first blush, but it actually contains a story (well several mirco narratives) about pain and joy that comes amid the mundane details of our lives.